In a galaxy far, far, away…. 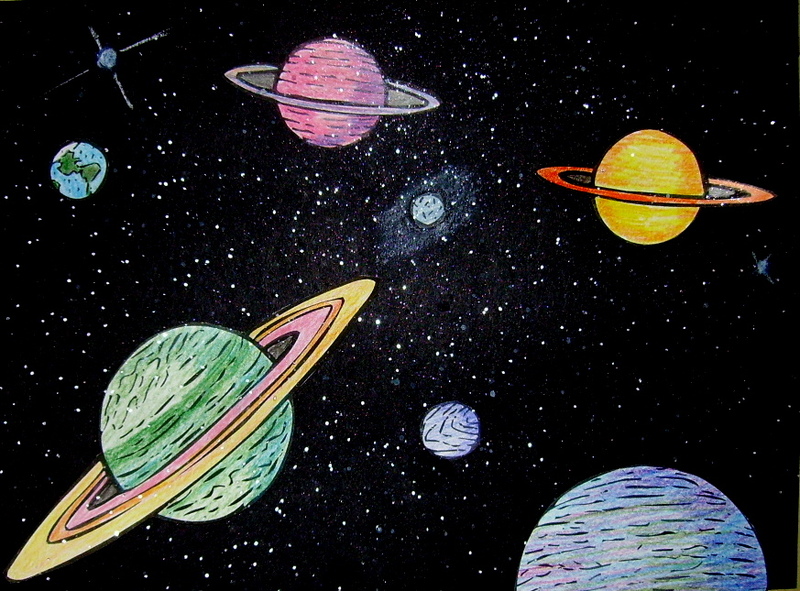 Just looking at pictures of the stars and planets in the galaxy gives you a wonderous feeling. I put together a Power Point presentation of the galaxy, and the kids were in awe of the beauty of outer space. The Hubble website at http://hubblesite.org/gallery/album/galaxy/ will give you many pictures to choose from for a Power Point presentation. After viewing the presentation, the students made an outer space picture of their own. You can find printable planet shapes at http://www.coloringcastle.com/pdfs/space/planets02.pdf . Find the directions for this project, “Outer Space,” look in the 4th Grade Projects Gallery in the sidebar. This entry was posted in 4th Grade and tagged 4th grade, childrens art and crafts projects, classroom galaxy planet art project, galaxy, galaxy art project, galaxy planet shapes, galaxy planets art for kids, hubble website, outer space, outer space art project for kids, printable. Bookmark the permalink.